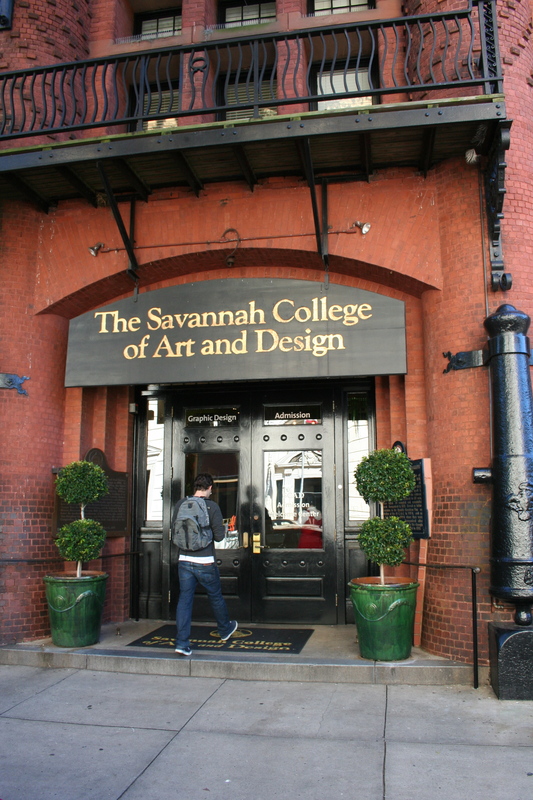 I’m just back from a short stay at the Savannah College of Art and Design–I attended industrial design studios, met with possible Grommet creators, and gave a talk to the students and faculty. It’s an impressive place. Only 30 years old and yet it has almost 10,000 students across a variety of programs. The energy is palpable. The vision is too. I met a bunch of dynamic design professors and students. It’s really a privilege to be in such an entrepreneurial academic institution. Here’s a little photo essay. This building houses both Admissions and the Graphic Design Program...one of the gracious old brick reclamations. 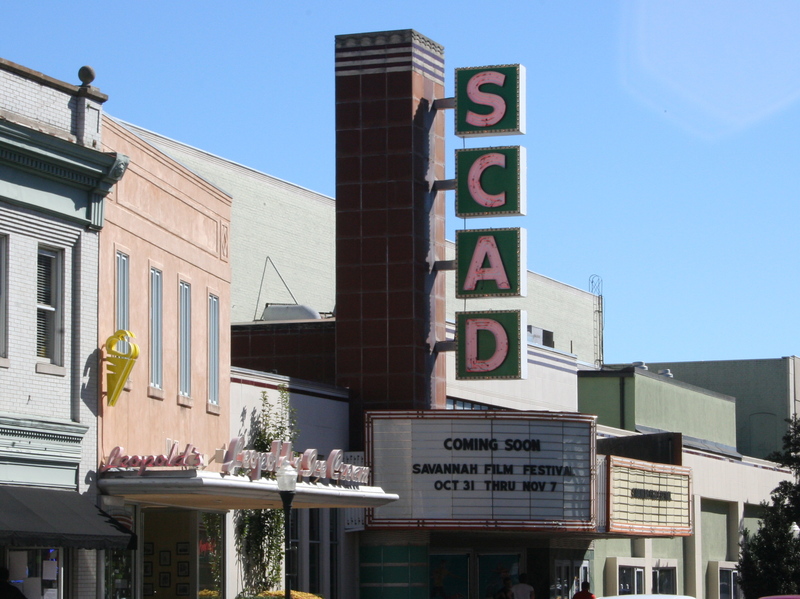 SCAD has a policy of buying and renovating historic properties in Savannah. As such the school has been the main preservation force in the city. It creates a very distributed urban campus, which the administration pulls together by holding magnet events in a wide variety of buildings. The school has a very sophisticated and controlled visual identity in most communications, but it breaks all the rules when it comes to exterior building signage--using whatever signage style is appropriate to the period of the building. 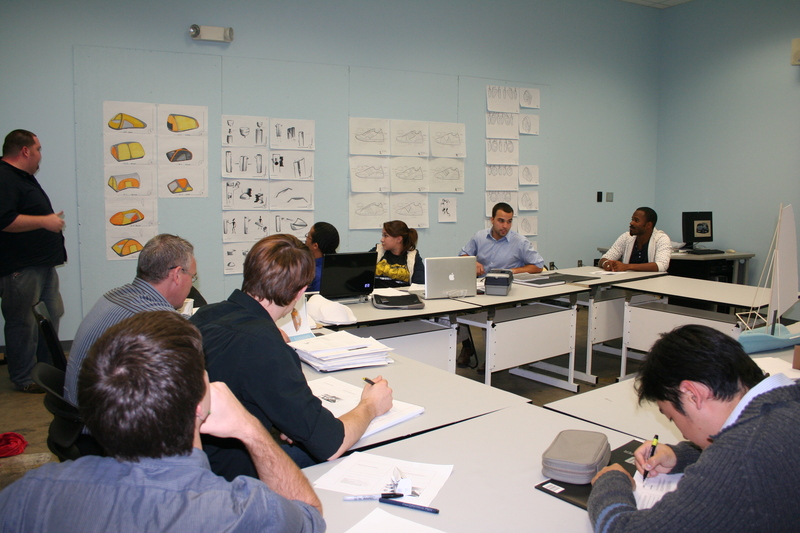 Savannah College of Art and Design, Gulfstream Centre for Design. 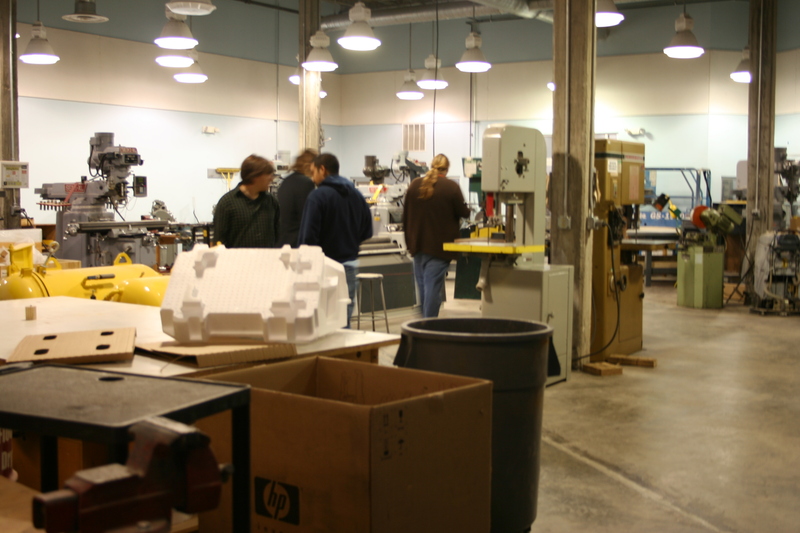 The furniture and industrial design programs are housed in this reclaimed warehouse. 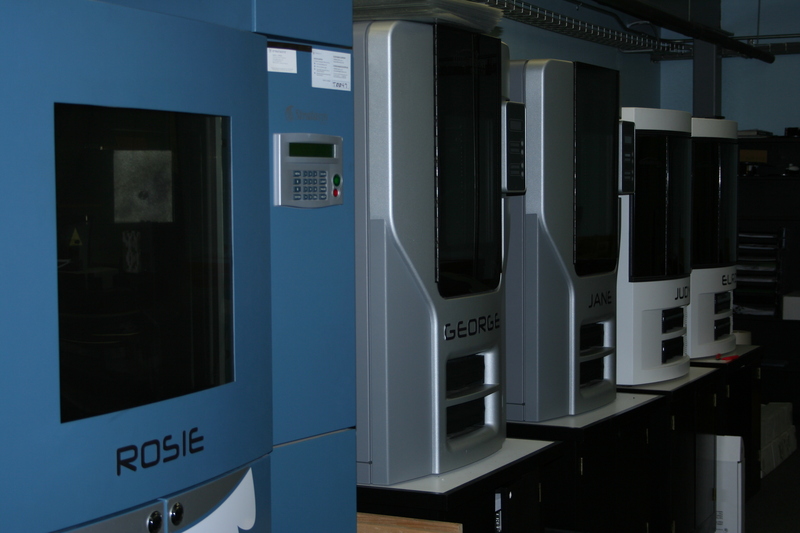 I couldn't believe the students have access to the normal complement of shop space and equipment (albeit tons of it) but also a laser cutter, a CNC machine and five (count 'em) Fuse Deposition Modelling machines (3-D Printer). When I was an ID student we made nearly everything totally manually. A vacu-form machine was high tech to us. These students can, hopefully, spend more time on their ideas, and less time on hand crafting models. Tom Gattis, head of the Industrial Design Department. 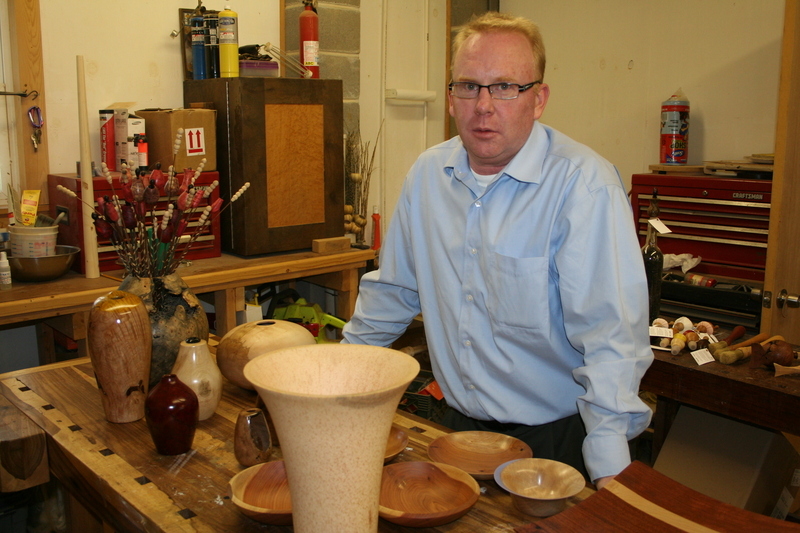 He's an expert wood turning craftsman in his spare time. The vase in front is made from the local palm trees. 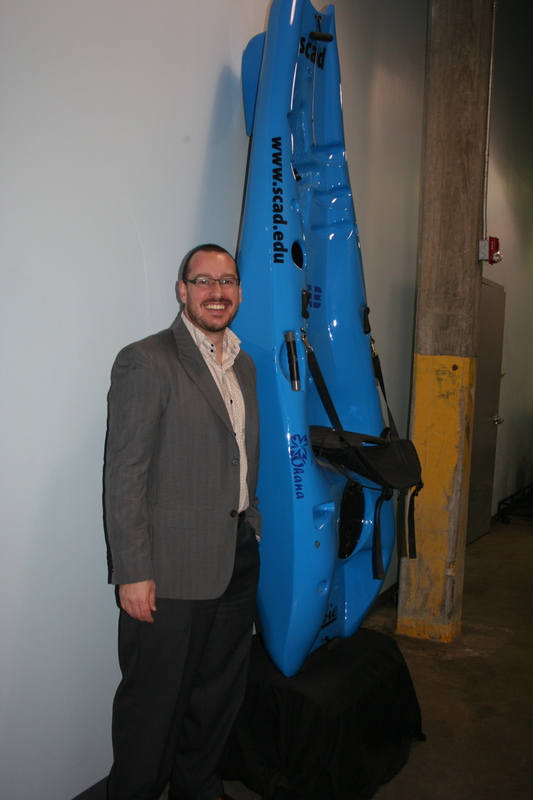 Professor David Ringholz, in front of a student project, sponsored by Hobie. 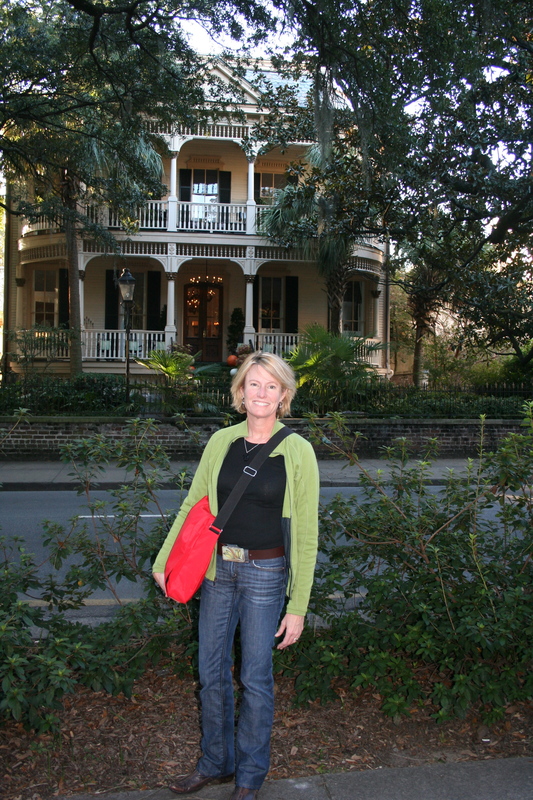 I was put up at the immense SCAD private guest mansion, Magnolia House. After years of rough startup budget travel, I could not have been more appreciative. This beats sleeping on couches in the apartment of a friend of a friend, for sure. 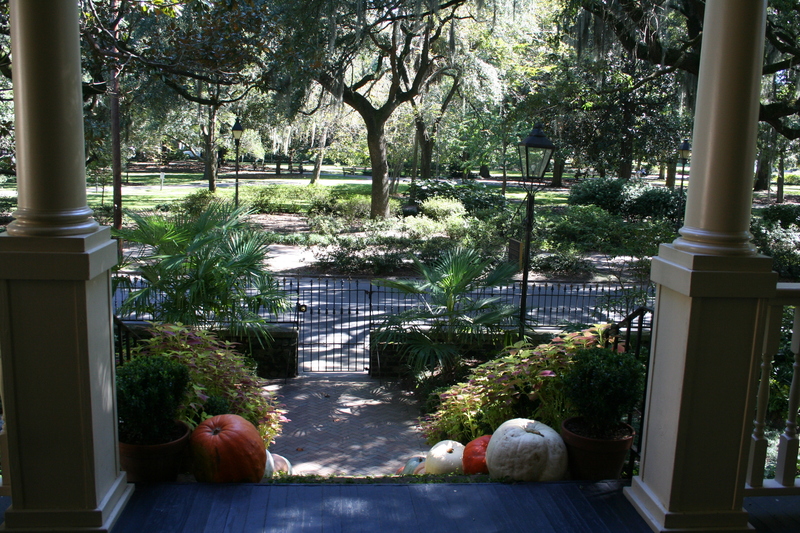 The view from the front porch of Magnolia House, towards Forsyth Park. It's where the author of "Midnight in the Garden of Good and Evil" stayed while writing the book. 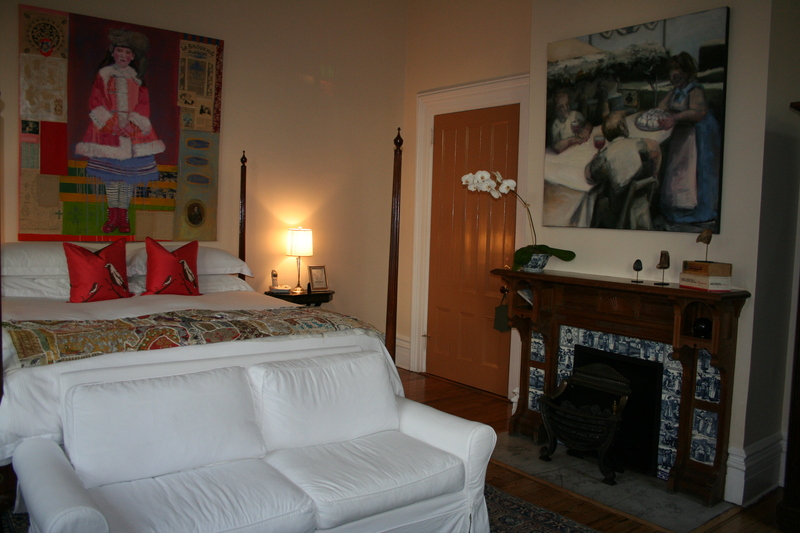 Each room has a sophisticated theme, and is appointed with interesting art from SCAD alum and staff. 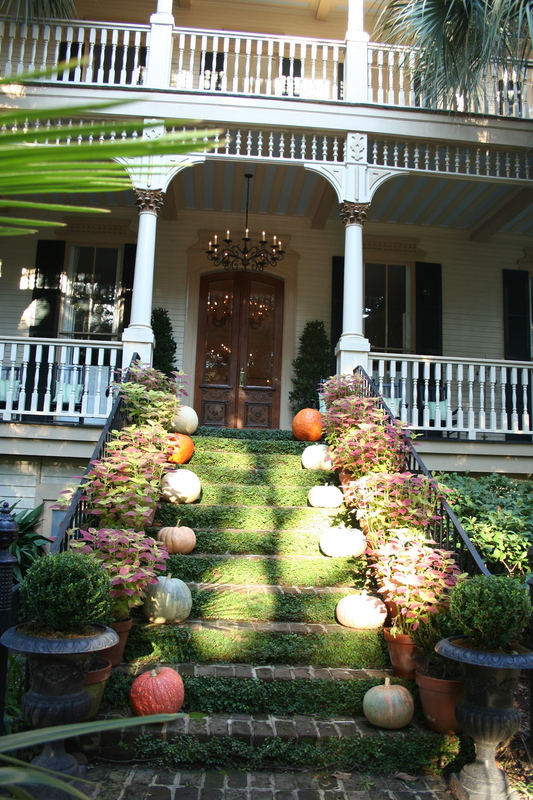 No detail is left unattended at Magnolia House. I loved the texture of Savannah...the mix of the really old and new. And this...a lot of "kinda old" but familiar too. In a movie set kind of way. Robert Redford was, in fact, shooting "The Conspirator" there during my visit. 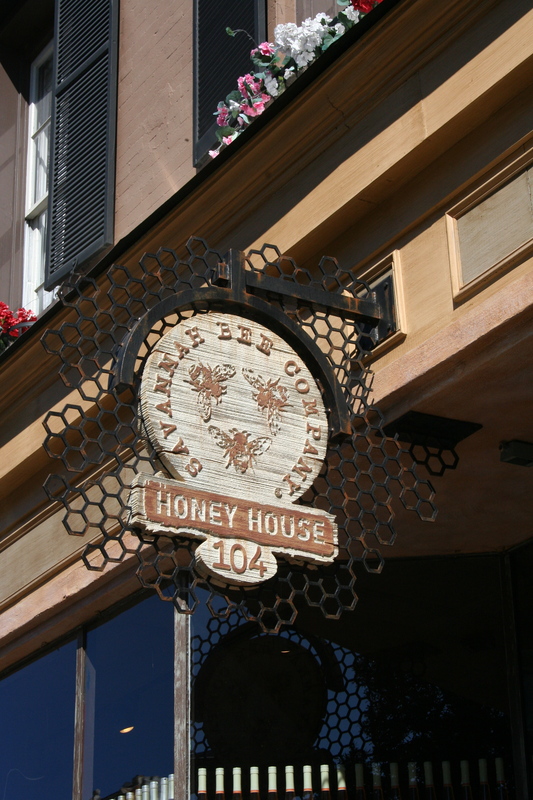 Savannah is a real food town. 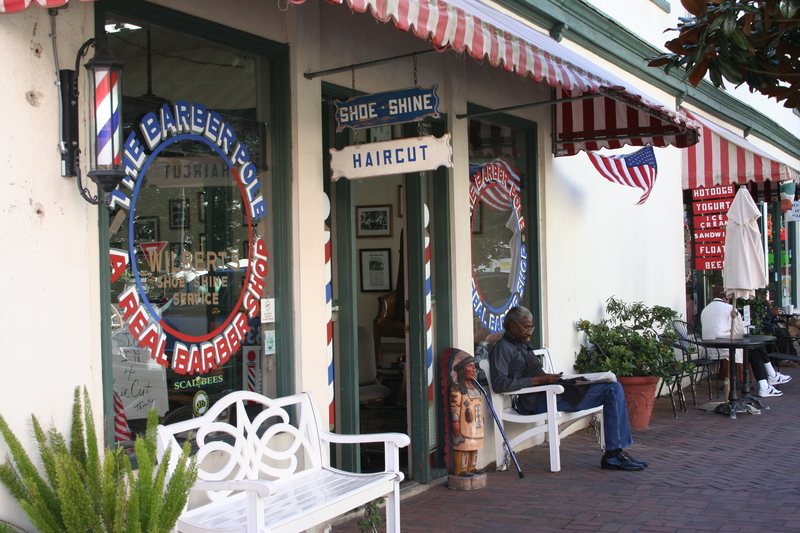 I had shrimp and grits at "Uncle Bubbas" and two fine dinners at Sapphire Grill and Local 11 Ten . This is a photo of The Back in the Day Bakery, where journalist Rob Walker normally gets the imported Mexican Coca Cola he favors, and wrote about a couple weeks back, in the NYT magazine. 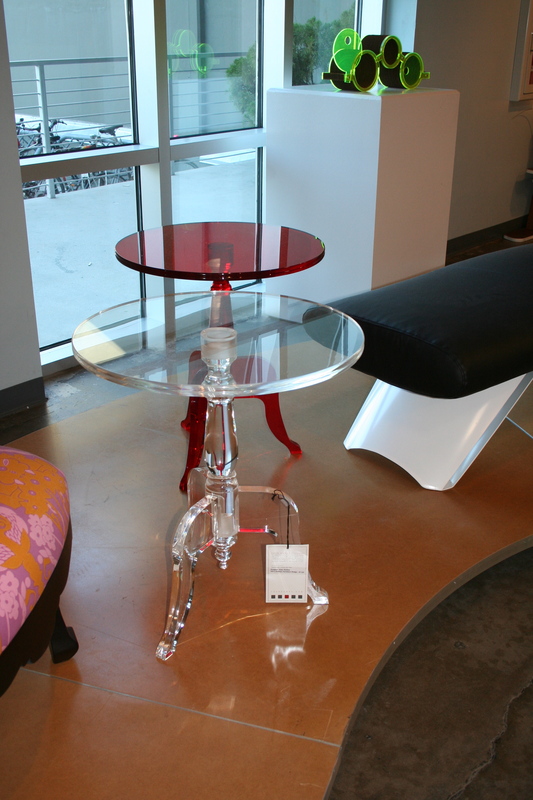 This photo is from the very fun Little Pink Studio blog. 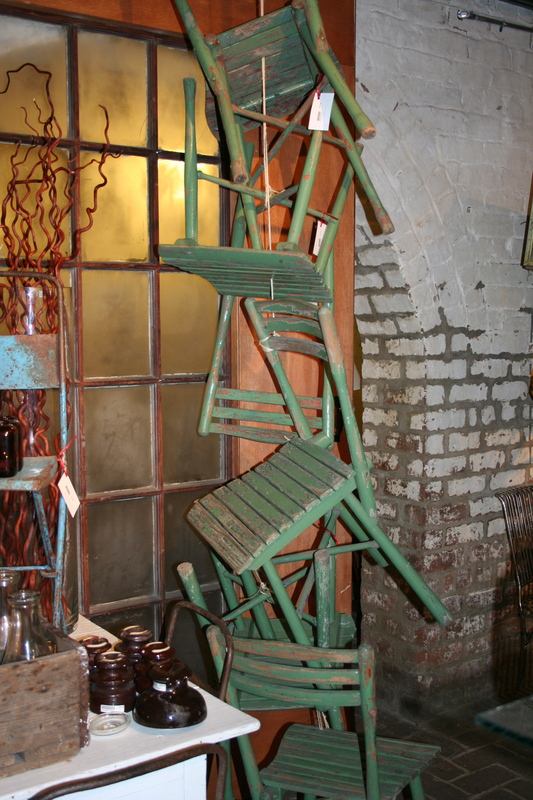 It's really fun to visit shops in such an art-inspired town. People dress better too. I'm sometimes intimidated by the aggressive femininity of Southern women. The Savannah version tends more towards inspiring and witty, not intimidating. 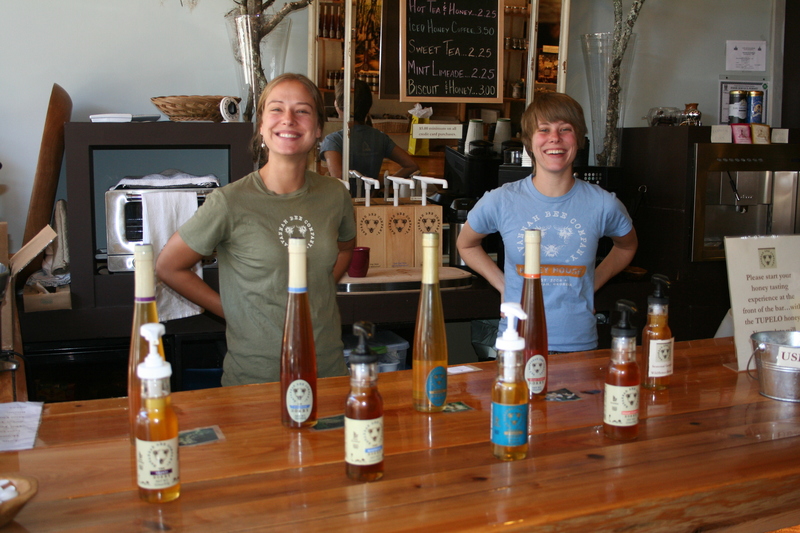 With equally charming people inside, sampling honey for visitors. 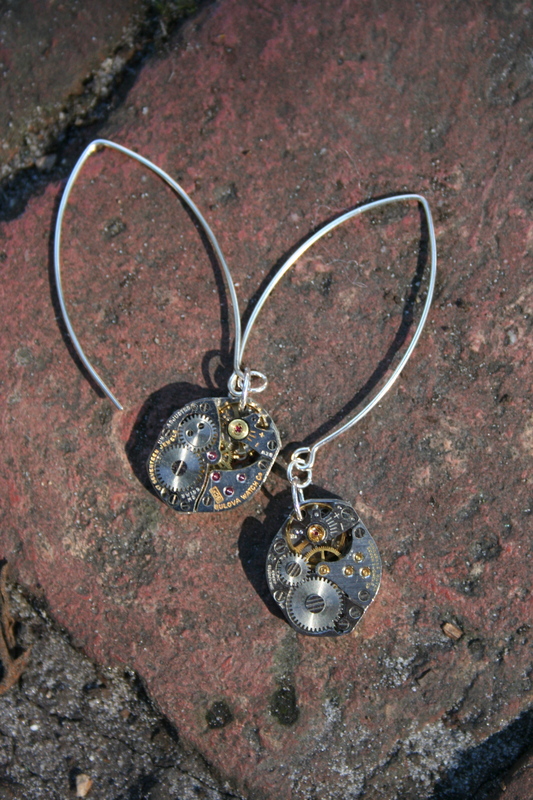 I mainly scouted for Grommets, but I did come home with one personal find....this pair of earrings made of watch parts. They are the creation of a SCAD student, Cassie Warnat, and I found them at ShopSCAD--a place to buy pieces from SCAD students, alum, faculty and staff. I am grateful to Julia Kemp, a SCAD alum and our former summer intern who suggested this trip, and to Tom Gattis and Sheila Magness, who made it happen. 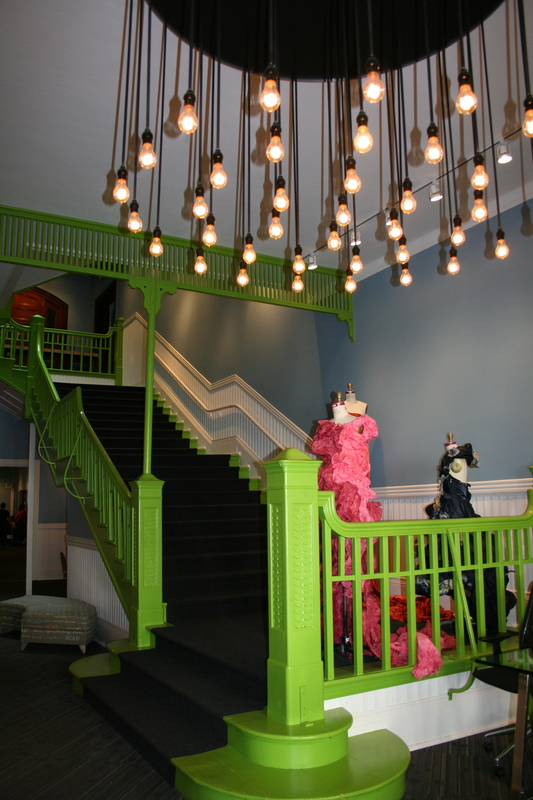 I would be delighted to return to SCAD anytime! Happy Birthday Daily Grommet! We’re giving ourselves a new site…. Your photos are amazing and inspiring on so many levels. I have wanted to go to Savanah for many years and these photos just help reinforce that desire. What an interesting part of the world to explore. I know the house was scary; (now that you aren’t there) do you think there were ghosts there? It was only scary to be there the first night alone. It is huge! I got used to it. I could get VERY used to it. 🙂 No detectable ghosts. Thanks, Jules – you’re on the right track with your “vaguely socialist” perspective on business. We need the types of business models like the one you’ve developed for The Daily Grommet. thanks for visiting our class, and hope to work with you on some projects! Nice to hear from you Chris. I would love to collaborate via COINs. I took a look at Peter’s sight and it will fuel some of my own business model thinking too. 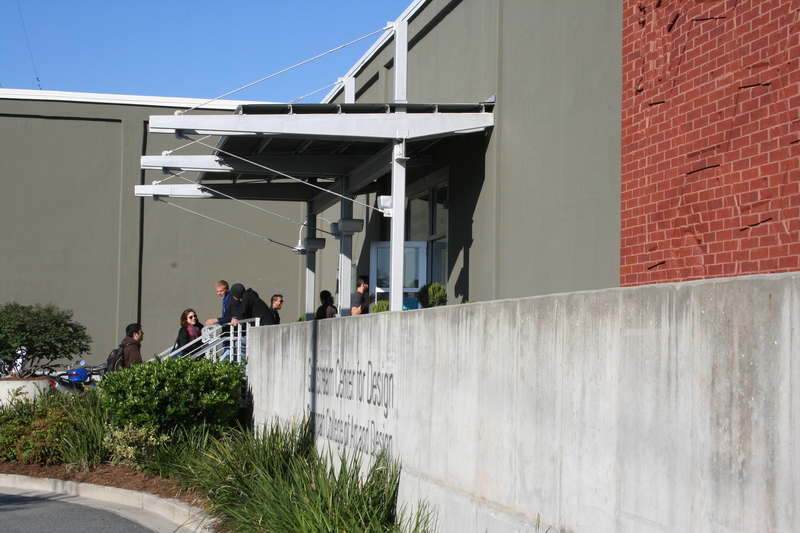 At SCAD, as a business person, I felt rather simplistic in my approaches, compared to the layered theories you can explore in academia. A cross-fertilization of my “constantly executing” startup life with your “helping us make sense of what we are causing/creating” would be fascinating. Yes, collaborating with you would be fun and productive for all! We’ve been thinking about how to frame the project you proposed in terms of how Condor can add dimension to the task of tracking the “echo”…still working on it. Each of the projects is presented by a champion who has to pitch it in a way that’s compelling so that people want to join the project team. That happens on Wednesday 10/28. 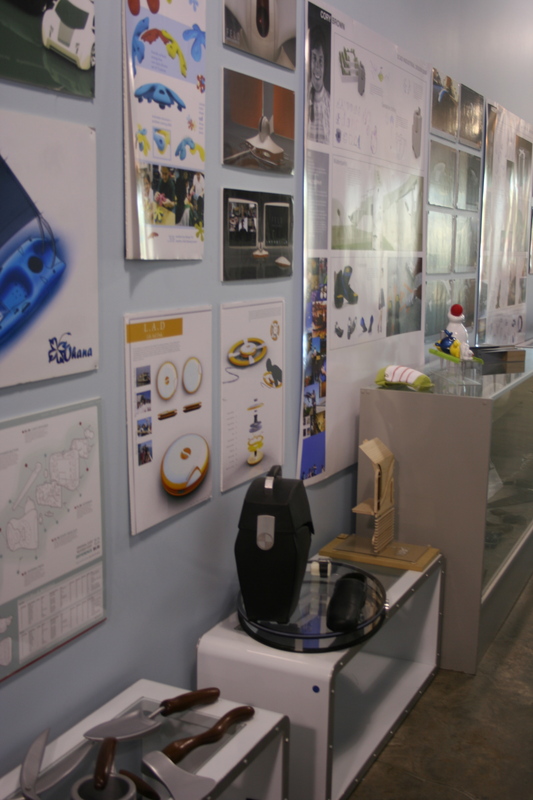 One of our students whom you didn’t meet is quite interested in your project. If he has a vision of where it could go he might be the one to do the pitch. We’ll be in touch! Thanks Carol! I would have loved to spend more time, take more photos, and write more observations. 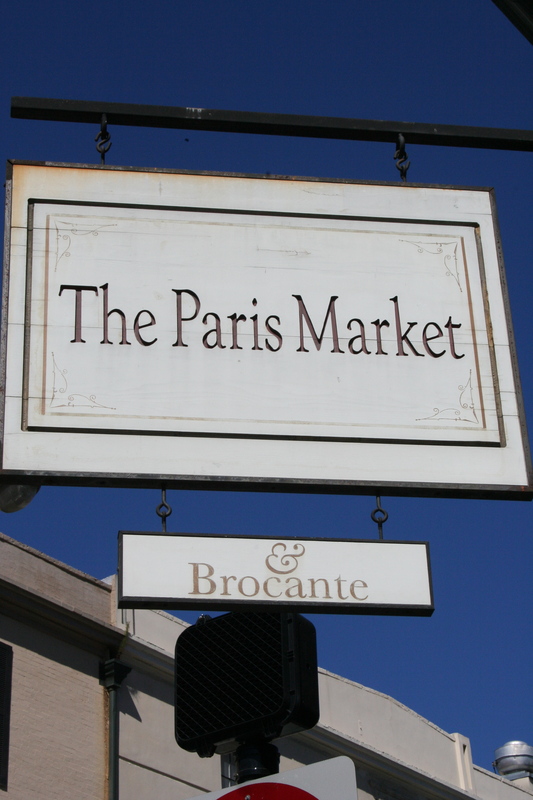 It’s definitely a place that merits repeat visits. 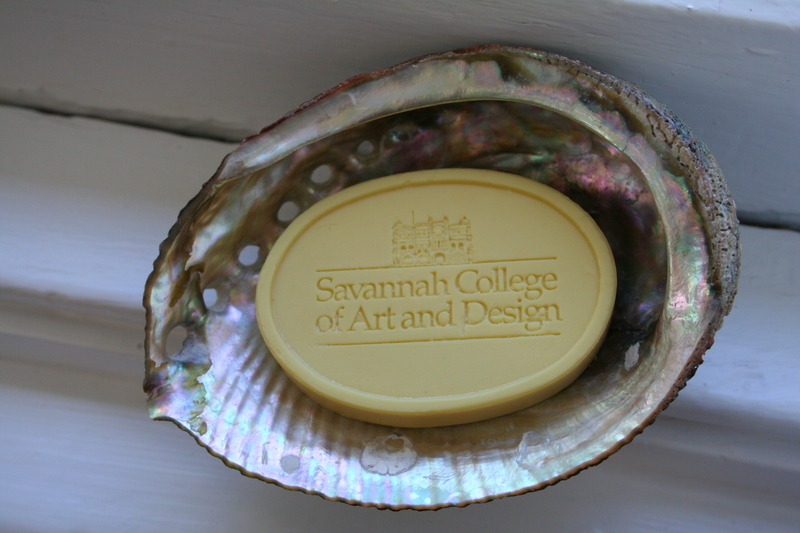 And yes, SCAD sure has played a pivotal role. I can only imagine the vision and the initial uphill battle it took to start building this dream, for President Wallace. This is Cassie Warnat and I’m so glad that you are enjoying my earrings! I came across your blog in the most random way. I was googling my name and your page came up. My heart literally skipped a beat. I was so shocked that you put this up on here and so excited! I’m so happy I could be a part of your SCAD experience. Such a pleasure! Hope you visit again. So fun to hear from you. I love the tale of how you found yourself and your work on my blog. I love my earrings. I was worried last week…one got caught on a very textured scarf and the watch parts detached. But I luckily found it in my car and it is getting put back on….Phew! I would have been very upset to lose them. You will see them on me in a lot of the videos I do for Daily Grommet. I really loved that post, I am a little puzzled, and have a small question. May I send you an email? The pictures are beautiful and, I cannot wait until you have a friends day!! !